Homestead iPhone repair – There can be a lot of mystery when it comes to an iPhone. Sure you probably use it every day from morning to night, but how much do you really know about its inner workings? Thankfully there are resources that can help. Looking for Homestead iPhone repair service can be a necessity when things go wrong. • It costs way too much to repair an iPhone. This is definitely a subjective misconception. Yes- there are some places that charge outrageous fees to even look at a phone, but that doesn’t mean they are all like that. You can easily shop around and find repair shops that fit perfectly into your budget. • It’s too hard to pick a repair shop. There may be a lot of options, but picking a repair shop for your phone is just like picking a repair shop for anything else. Always ask for a repairman to spell out the issue and the costs involved. There sometimes can be some extra fees when a shop realizes all of the details of the repair, but in general they should be able to give you a ballpark estimate. Ask your potential providers what their price schedule is prior to beginning any work. This way you can get a general idea of the total cost. • A warranty will be voided if a third-party works on my phone. 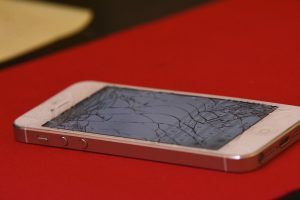 A broken screen or accidental damage causes the Apple one-year limited warranty to already be voided. Your option is to either purchase a new phone or find a qualified shop. Usually good shops offer post-warranty repairs and 90% of the time repairs are a cheaper option than purchasing a new one. • You think your phone is not fixable. Though the problem with your phone may seem impossible to fix, most likely it can be. Most reputable repair shops can fix just about any problem you encounter. Plus, they have likely seen the issue many times before. Never think that your issues are bigger than the standard ones. • You think you can fix your phone yourself. The internet offers many viable solutions for people to do their own repairs on cars, household appliances or furniture. A cell phone is different. It is an intricate electronic device. On top of that, messing with the inner workings of a cell phone can create a bigger problem for the repairman who eventually has to clean up the mess. Do everyone a favor and let a trained professional look at it before you do your own operations. Finding Homestead iPhone repair is a necessity for any user. The misconceptions regarding repair are many but the bottom line is, a qualified repair person is the only sure-fire solution. For more information contact 123pcsolutions.com.